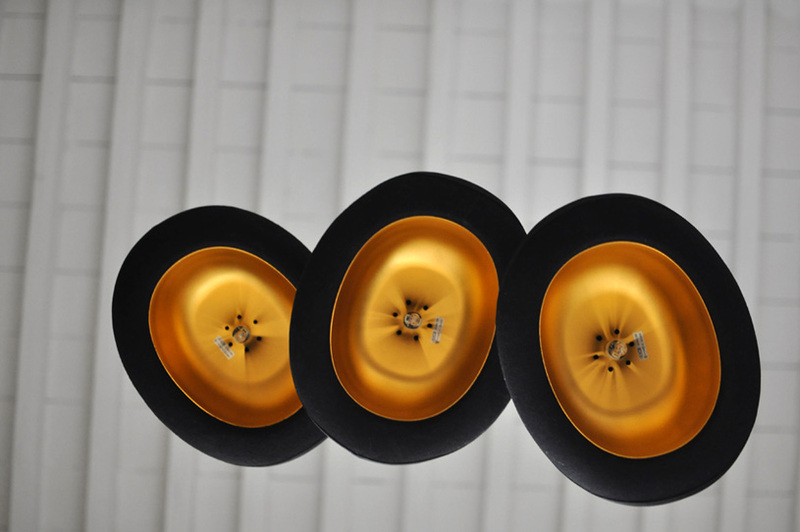 A few years back we found these Jeeves hanging lights at Maison & Objet in Paris. They were designed by Jake Phipps and are edited by the UK based company Innermost. 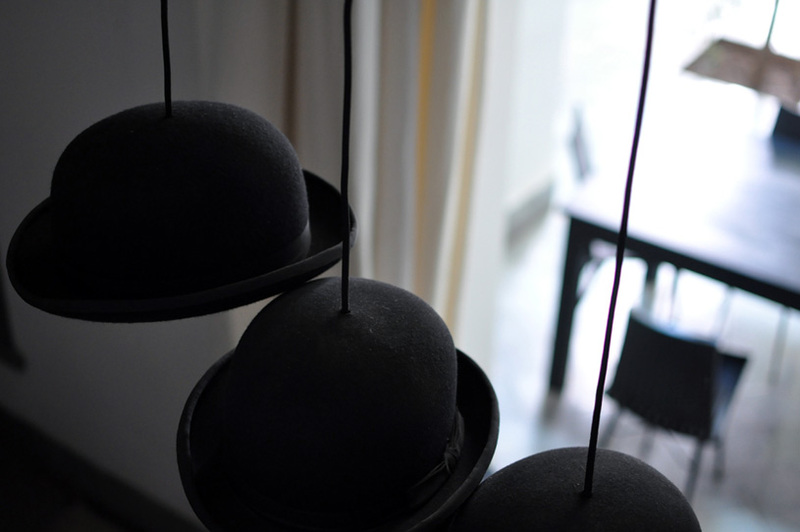 The outer shell is made of black felt, the lining is anodized aluminum and has a champaign color. A mix of british tradition and contemporary technology. 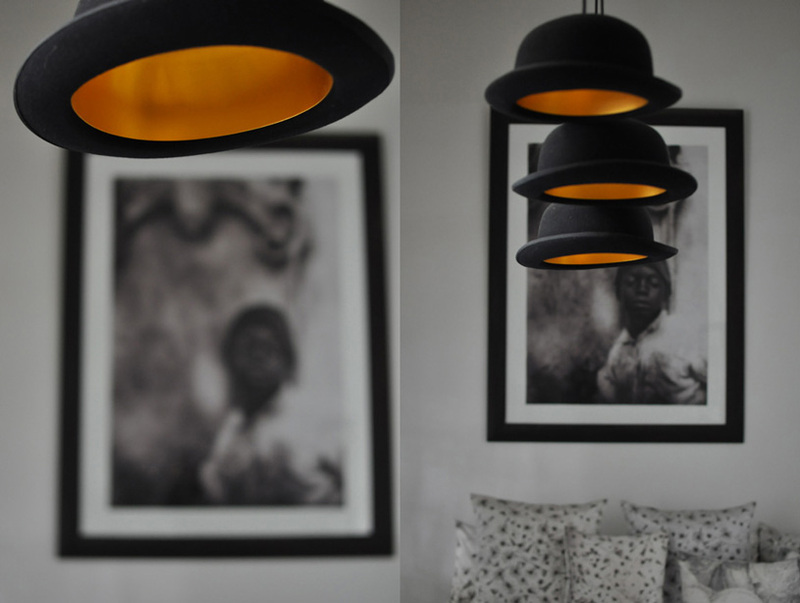 We have a set of 3 of these lights hanging in the office of Abdelhadi, you will see them lighted at night while having a tea or dinner under the orange trees. Enjoy !